This post summarizes recent news items and other public policy developments relating to use of biomass-derived diesel (“biodiesel”) as a motor vehicle fuel. I’ll plan to update such news periodically, to include not only biodiesel but also news about other biofuels (other than ethanol or butanol), including novel aviation fuels produced from renewable feedstocks. Another perpetrator of fraudulent RINs receives jail sentence. In early April, the head of Absolute Fuels, Jeffrey David Gunselman was sentenced to fifteen years in prison and to pay $55 million in restitution, after pleading guilty last year to the charge of selling fraudulent RINs. This came shortly after Rodney R. Hailey of Clean Green Fuel LLC was been sentenced to twelve and a half years in prison and monetary damages for RIN fraud. Dispute arises over waivers of New Mexico biodiesel blending requirement. The New Mexico Petroleum Marketers Association intends to seek a third waiver of a state law that institutes a 5% biodiesel blending mandate in the state. The current waiver, the second granted by the state because of low biodiesel production by in-state companies, expires on April 30, and the state’s Department of Agriculture is considering the request to grant a further waiver. The Renewable Energy Group of Ames, Iowa opposes any further waivers and wants the mandate enforced. As previously reported, in the legislative session that recently ended, the New Mexico legislature rejected proposals to repeal the 5% biodiesel blend mandate. The European Union has announced that it will register larger amounts of imports of biodiesel from Argentina and Indonesia, based on evidence that subsidies given by these countries were “causing material injury to the European Union industry”. The EU has reportedly instituted both anti-subsidy and anti-dumping inquiries against biodiesel imports from these countries, and has already been registering imports from certain Argentine and Indonesian companies under the anti-dumping inquiry. These inquiries were instigated in response to complaints lodged by the European Biodiesel Board, and the European Commission is reportedly considering duties of 28.5-29.5% for Argentinean imports and 35.5-37.5% for Indonesian imports. It has been reported that senior Indonesian government officials will meet with an EU delegation during the week of April 22, to give Indonesia a chance to respond to the ongoing EU investigations of anticompetitive activities regarding Indonesian biodiesel. Indonesian officials believe that the EU’s findings are based on a misunderstanding, and that the subsidies the government gives to biodiesel are aimed at the domestic market and do not affect the price of biodiesel sold in the international market. The Argentina Chamber of Biofuels (Carbio) says that the country’s biodiesel industry is running at 40-50% production capacity because of the anti-dumping investigation currently being undertaken by the European Commission. Exports of biodiesel from Argentina to Europe reportedly dropped 50% after the EC opened its investigation. More recently, the Argentinean government announced that it will raise its biodiesel blend mandate from 7% to 10%, effective June 1, 2013. The government says this move was not related to the EU anti-competitive investigations but was instead triggered by a desire to compensate for the effects of a fire at Argentina’s largest oil refinery, which has caused the refinery to operate at half capacity. In Brazil, According to Biofuels Digest, the fuel regulator ANP was only able to secure 65% of the 750 million liters of biodiesel sought in order to supply the country’s B5 blend. The 488.4 million liters were purchased during the 30th biodiesel auction held earlier this month and are meant for May/June delivery. Biofuels Digest is also reporting that the environmental coordinator in the Asturias region of Spain is balking at granting approval for a proposed biodiesel plant in the city of Lleu, because economic conditions have idled so many other biodiesel plants around the country. It has been reported that trading of biodiesel that is compliant with the European Union Renewable Energy Directive (RED) has been complicated in some European countries by purchasers’ insistence that the fuel meet stricter sustainability criteria than required under the RED. Although standards vary across EU member states, in some countries customers are reportedly requiring compliance with the biodiversity criteria of Birdlife International and UNESCO programs to preserve biosphere reserves. Customers in Germany require a certificate from the Nabisy sustainable biomass system, although non-Nabisy biodiesel is acceptable in other parts of Europe such as Italy and the UK. USDA and FAA extend partnership to promote development of biojet fuel. On April 15, the U.S. Department of Agriculture and the Federal Aviation Administration announced an agreement to continue working together for another five years on a program to promote the development of a viable biobased aviation fuel. This new agreement follows the creation in 2010 of the “Farm to Fly” initiative, initially created by USDA, Airlines for America and Boeing, and a three-year agreement between USDA and FAA to develop aviation fuel from forest and crop residues and other renewable feedstocks. The goal of these programs is to support the annual production of 1 billion gallons of drop-in aviation biofuels by 2018. Think tank report critical of aviation biofuels released. The Oakland Institute, a California think tank, has issued a report criticizing current strategies for developing renewable aviation fuels from agricultural commodities. The report, entitled “Eco-Skies: The Global Rush for Aviation Biofuel,” concludes that it will require an enormous amount of agricultural land to meet the aviation industry’s goals of greenhouse gas emission reductions by 2050, and that biofuels are a “false solution” to achieve these goals. While criticizing the aviation industry’s reliance on biofuels to reduce carbon emissions, the report does not present a clear alternative other than vague calls for improvements in airplane fuel efficiency, more efficient flight paths, etc. Furthermore, the report sets up a “straw man” by its implicit assumption that the 2050 goals could only be met by the agriculture-intensive technologies existing today (e.g. used cooking oil and oils from palm, Jatropha and Camelina), 37 years before the target date, thus ignoring yield and efficiency improvements as well as the potential impact of emerging technologies such as the use of algae or other photosynthetic bacteria. D. Glass Associates, Inc. is a consulting company specializing in government and regulatory support for renewable fuels and industrial biotechnology. David Glass, Ph.D. is a veteran of over thirty years in the biotechnology industry, with expertise in industrial biotechnology regulatory affairs, U.S. and international renewable fuels regulation, patents, technology licensing, and market and technology assessments. Dr. Glass also serves as director of regulatory affairs for Joule Unlimited Technologies, Inc. More information on D. Glass Associates’ government and regulatory consulting capabilities, and copies of some of Dr. Glass’s prior presentations on biofuels and biotechnology regulation, are available at www.slideshare.net/djglass99 and at www.dglassassociates.com. The views expressed in this blog are those of Dr. Glass and D. Glass Associates and do not represent the views of Joule Unlimited Technologies, Inc. or any other organization with which Dr. Glass is affiliated. Please visit our other blog, Advanced Biotechnology for Biofuels. Here’s an update on recent news items and other public policy developments relating to the U.S. Renewable Fuel Standard (RFS), and the efforts to produce commercial quantities of cellulosic biofuels which qualify to generate Renewable Identification Numbers (RINs) under the RFS. EPA proposes to voluntarily reconsider 2011 cellulosic fuel mandate. On April 3, the EPA filed a motion in the U.S. Court of Appeals asking the Court to allow the agency to voluntarily reconsider the mandated 2011 volumes for cellulosic biofuels under the RFS. As previously reported, the 2011 mandate has been challenged by a coalition of groups led by oil company trade associations, and in a separate case, the Appeals Court vacated EPA’s 2012 cellulosic fuel mandate. All parties to the pending lawsuit over the 2011 mandate are reportedly in favor of EPA’s motion, which is expected to lead to a decision by the agency to retroactively set the 2011 mandate to zero. Trade associations, companies comment on EPA 2013 mandates, RFA breaks ranks. The public comment period on EPA’s proposed 2013 RFS volume mandates closed earlier this month, with almost 50 public comments received, including comments from several companies and trade associations within the biofuel industry. Although most of the industry commenters supported EPA’s proposed target of 14 million gallons of cellulosic biofuel, the Renewable Fuels Association called for EPA to reduce this mandate to better correspond to the actual volumes of cellulosic fuel that are expected to be produced by companies later this year. RFA, along with the American Coalition for Ethanol, also highlighted the “advanced biofuels” mandate as favoring importation of Brazilian sugarcane ethanol at the expense of domestic production. RFA called for EPA to partially reduce the advanced biofuels volume mandate. January 2013 RINs. EPA has reported that over 44 million advanced biofuel (D5) RINs and 1.03 billion renewable fuel (D6) RINs were generated in January, most of which were attributed to ethanol. All of the renewable fuel RINs were generated domestically (most likely predominantly corn ethanol) while all but 3 million of the advanced biofuel RINs were generated overseas (with the imported fuel most likely dominated by Brazilian sugarcane ethanol). Similar (but slightly lower) figures have been released for RIN generation in February, including about 32 million D5 RINs and 937 million D6 RINs. No RINs for cellulosic fuels have yet been generated this year in the months reported to date. Studies say RIN prices have not caused rise in gasoline prices; but may trigger other market shifts. Several studies or other online reports have appeared in recent weeks to refute the allegation that the recent spike in the price of corn ethanol RINs was a factor in rising gasoline prices. These include an analysis conducted by Informa Economics commissioned by the Renewable Fuels Association, an analysis of two University of Illinois economists, and an opinion piece written by Marshall Kaplan, an adviser to the Fuel Freedom Foundation. In a separate development, the U.S. Energy Information Administration, in its April Fuels Outlook issue, predicted that the high prices of ethanol RINs and the expected drawdown of banked RINs would stimulate E85 sales by lowering its price relative to E10, and also create increased incentive for biodiesel blending. Meanwhile, it has been reported that D6 ethanol RIN prices rose in early April to the highest levels since the price spike in March: prices on April 8 were reportedly $0.80/gallon for 2012 RINs and $0.86/gallon for 2013 RINs. New Congressional bills opposing RFS. On April 10, Representative Bob Goodlatte (R-Va.) and several cosponsors introduced two bills that would substantially alter the U.S. Renewable Fuel Standard. One bill, H.R.1462, would amend the RFS to eliminate the requirements for corn ethanol under the renewable fuel program, and also prohibit the EPA from approving the sale of gasoline that contains greater than 10% ethanol. The other bill, H.R.1461, would simply repeal the RFS in its entirety. The introduction of these bills triggered the predictable responses from both sides of the renewable fuels debate, including strong statements of opposition from groups representing the renewable fuels industry. Wyden to examine RFS and impact on gas prices. Senator Ron Wyden (D-Ore.), the chair of the Senate Energy and Natural Resources Committee, has voiced his skepticism about whether the volume mandates of the RFS can be met. At a public meeting held April 12, Sen. Wyden indicated that he intended to hold hearings later this spring on the RFS and its impact on gasoline prices. Wyden, who is characterized as a supporter of the RFS, had also recently asked EPA for market data relating to volatility in ethanol RIN prices. International Energy Agency reports on cellulosic biofuel capacity. The International Energy Agency has issued a 207-page report entitled “Status of Advanced Biofuels Demonstration Facilities in 2012,” which reports that global capacity for cellulosic biofuel production has tripled since 2010. According to a published summary, the IEA report describes 71 actively pursued projects for commercial production of advanced biofuels, with current capacity for cellulosic fuels at approximately 140,000 metric tons per year. The report can be downloaded here. New market report on cellulosic ethanol. A newly-published market report by the consulting firm GlobalData estimated that global cellulosic ethanol production would rise from 14.25 million gallons in 2012 to 412.25 million in 2020, and that the U.S., currently the market leader with over 5 million gallons produced in 2012, would retain its lead through 2020. This report is available for purchase from GlobalData. Here’s an update on recent news items and other public policy developments during the last few weeks relating to the use and market acceptance of 15% blends of ethanol into gasoline (“E15″) and other higher blends of ethanol such as E85. E15 Appeals Court ruling appealed to Supreme Court. The Alliance of Automobile Manufacturers has filed a petition to ask the U.S. Supreme Court to review and overturn the opinion of the Court of Appeals for the District of Columbia which threw out a lawsuit that had challenged EPA’s waivers approving E15 ethanol blends. The Appeals Court had ruled that the various plaintiffs (companies and trade associations) did not have legal standing to challenge EPA’s actions. The automakers association again cited the alleged damage that E15 may do to automobile engines, and their assertion that more study of E15’s effects is needed. The Supreme Court usually agrees to hear only a small fraction of the cases appealed to it, so the prospects for further review of this lawsuit are not clear. Impact of EPA’s proposed sulfur rule on ethanol. The U.S. EPA has issued a proposed regulation revising the standards for sulfur emissions in gasoline (the so-called “Tier 3 Rule”). The proposed rule would require that sulfur emissions from gasoline be reduced from the current 30 ppm to 10 ppm by model year 2017. Although this rule doesn’t directly affect ethanol mandates, it has several provisions relating to ethanol (there is a good summary of these provisions in Ethanol Producer magazine). In the rules, EPA assumes that the Renewable Fuel Standard volume requirements will at least partially be met by the time these new limits take effect in 2017, and therefore reflect a mix of E10 and E15 by 2017 and 100% E15 by 2030. The baseline test fuel for auto manufacturers to determine their emissions is proposed to be E15, although EPA has also requested comment on E10 as an alternative. The proposal also includes (apparently for the first time) detailed specifications for an E85 emissions test fuel to be used for flex-fuel vehicle certification and there is also a provision allowing manufacturers to request approval for mid-level ethanol blends such as E30. In addition, some feel that these more stringent emission standards may present a market opportunity for ethanol, if blenders wish to take advantage of ethanol’s higher octane rating. This is a proposed rule and there will be a 30 day comment period beginning on the day of Federal Register publication. That period is likely to be extended for an additional 15-30 days if not longer. EPA will then take public comment into consideration and will issue a Final Rule, which under ordinary circumstances takes up to a year, and for controversial rules could take considerably longer. Legislation to repeal Florida Renewable Fuel Standard moves forward, but is amended at April 9 hearing. House Bill 4001, which would repeal the state’s Renewable Fuel Standard Act and end mandatory blending of ethanol into gasoline, was approved by two House committees in March, following a hearing held on March 22 by the Regulatory Affairs Committee of the Florida House of Representatives. Action has now moved to the State Senate, where companion bill Senate Bill 320 has been approved by the Senate Communications, Energy, and Public Utilities, and was scheduled for a hearing before the Environmental Preservation and Conservation Committee on April 9. The favorable votes on this legislation have come in spite of significant opposing testimony from renewable fuel companies, trade associations, and other allies. In a more recent development, the Senate Bill was substantively amended at the April 9 Committee hearing. The original version of the bill would have repealed the sections that required gasoline sold in Florida to be blended with ethanol. In the amended version, these sections would not be repealed, but would be amended to “encourage” ethanol blending rather than require it. This amended bill, which cleared the Committee by a 7-0 vote, is still opposed by some within the Florida biofuel industry, although it is clearly less damaging than the original version of the bill. According to press reports, the Senate Committee was heading towards disapproving the original bill, and proposed this amendment as an alternative. New Hampshire legislation to ban corn ethanol. As previously reported, House Bill 362, which would ban the use of “corn-based” ethanol in the state, was passed by the state House of Representatives on March 13. It is now before the State Senate, where a hearing is scheduled for April 10 before the Energy & Natural Resources Committee. Maine ethanol legislation. As previously reported, there were four bills on fuel ethanol introduced in the Maine legislature this year. According to the Portland Press Herald, on March 28 the Joint Committee on Environment and Natural Resources sent one of these bills, LD 453, to the full legislature. This bill would prohibit sale of gasoline containing more than 10% ethanol. The other bills were reported out of Committee with unfavorable recommendations for the full legislature. A date has not yet been set for action by the full House or Senate on any of these bills. USDA grants available for blender pump installation. The U.S. Department of Agriculture has announced that will be accepting applications from gasoline retailers for grant funds to be used to install ethanol blender pumps. This is the third year that these grants, under the Rural Energy for America Program (REAP), will be available. A gas station in Jackson, Nebraska is one of the recent recipients of these grants. Sales of E85 in Minnesota declined 26% in 2012 relative to 2011, a drop that was attributed to the narrow price spread between E10 and E85. Sales of E85 and other alternative fuels are said to be strong in Wisconsin, where there are reportedly 124 stations selling E85. Here’s an update on recent news items and other public policy developments during the last few months relating to the development and commercialization of renewable fuels around the world. Rifts developing in EU regarding proposed RED revisions. It has been reported that environment ministers from several EU nations (perhaps representing a majority of EU members) have expressed concern and/or opposition to the proposed 5% cap on food crop derived biofuels under the proposed revisions to the EU Renewable Energy Directive. The group, including ministers from Hungary, the Czech Republic and Poland, do not share concerns over the indirect land use changes (ILUC) that may result from production of food-derived fuels, noting that negative ILUC impacts are more likely to occur in the developing world and are not likely to be seen within Europe. These ministers also believe that the RED’s goal of achieving 10% biofuel usage by 2020 is unlikely to be met if food-derived fuels are capped as proposed. These discussions will likely continue until the European Parliament’s vote on the proposal, expected in July 2013. EU RED Progress Report. The European Commission has issued a progress report on member state efforts to comply with the Renewable Energy Directive. The Commission found that most member states have seen significant growth in their use of renewables across all sectors, but that these growth rates are not likely to continue through 2020. Among the findings relative to the transport sector, the report stated that 22 EU member states failed to achieve the target of 5.75% renewable fuels by 2010. The report found that, although the EU as a whole is slightly ahead of its targets for biofuel usage in transport, the trend is that the longer-term targets will not be met unless further policy measures are adopted. European industry position on proposed RED revision. The European ethanol trade group ePURE has issued a position paper on the revisions that have been proposed to the EU’s Renewable Energy Directive. Its main recommendation is that the EU set a target that petrol (gasoline) contain 10% renewable fuels, comprising separate targets of 8% for “conventional renewable ethanol” and 2% for “advanced biofuels”, the latter being fuels made from the feedstocks listed in the proposed Annex IX but without double or quadruple counting. This position clearly reflects the priorities of ePURE members, most of which are producing ethanol from corn, sugarcane, or other traditional feedstocks. The position paper also calls for the EU to set emissions reduction targets beyond 2020 as the directive now provides. European ethanol lobby issues report critical of EU “double counting” for advanced biofuels. ePURE has also issued a report on March 27 that it had commissioned together with Novozymes, which concluded that the practice under the RED of double-counting to provide an incentive for adoption of advanced biofuels was ineffective. The report thus advocated against the proposal in the currently-pending RED revision under which advanced biofuels would be quadruple-counted. The report instead called for a “dedicated sub-target” for volumes of advanced biofuels to be incorporated in the fuel supplies of EU member states. EU not ready to set binding targets for 2030 biofuel use. On March 27, the EU Energy Commissioner Gunther Oettinger said that biofuels were “not advanced enough” to yet justify setting binding targets for usage by 2030, since the current supply of biofuels is still dominated by “first generation agricultural biofuels”. He said that, although the EC wants to propose binding 2030 targets for all renewable energy usage, it would be premature to set such targets for transport fuels until such time as the market transitions to “second or even third generation [fuels]”. 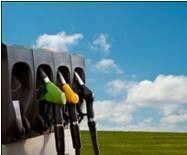 U.K. think tank critical of ethanol use. The UK think tank Chatham House released a report on March 12 which recommended that the country reduce its dependence on corn-based ethanol in favor of “cheaper and more sustainable” biofuels based on feedstocks like used cooking oil. The report recommended changes to the UK Renewable Transport Fuel Obligation (RTFO), the national law which implements the EU Renewable Energy Directive, and which imposes stepwise targets to meet the EU goal of 10% renewable fuels by 2020. The report’s position was based on ethanol’s higher cost than biodiesel, and its alleged impact on food prices. The report cited government data showing that ethanol constituted 61% of the UK’s biofuel supply in 2012 (up from 41% in 2010), while biodiesel’s share declined to around 35% in 2012, down from about 60% in 2010. Canada ending its biofuel subsidy program. According to the Toronto Globe and Mail, the Canadian government has decided to end its ecoEnergy program that has provided subsidies to ethanol and biodiesel producers. The newspaper reports that Natural Resources Minister Joe Oliver said in a late February letter to a Canadian industry group that “The government will not redesign or reopen the ecoEnergy for biofuels programs to new applicants,” citing budgetary constraints as the reason. Reportedly, the government has already granted $672 million in subsidies to ethanol and biodiesel producers planning or building plants, and plans to continue providing subsidies under existing commitments through 2017, at an estimated further cost of $1 billion. The Minister’s letter was apparently critical of the country’s biodiesel industry for failing to produce as much renewable fuel as promised. This decision apparently does not affect the country’s existing fuel regulations that require a 5% ethanol blend in gasoline and a 2% biodiesel component in the nation’s diesel supply. India reportedly needs to issue a tender to import ethanol in order to meet the government’s goal of a 5% blend in gasoline by June 2013. The Philippines will implement its E10 mandate on April 1, 2013. This decision by the National Biofuels Board ends a long delay from an earlier mandate under the Biofuels Act of 2006, apparently due to a reexamination of whether 10% ethanol blends would cause engine damage. Ecuador has announced that its B5 biodiesel blend mandate will take effect in May 2013. Reportedly, this mandate will increase over time to a B10 requirement. In Zimbabwe, the Green Fuel ethanol plant is back online, with production slated to start April 4. The reopening of this plant was made possible by a government decision to adopt a policy of mandatory blending of ethanol into gasoline, starting with a 5% blend and followed by increases to 10% and 20% over time. A member of Parliament in Kyrgyzstan has proposed easing requirements for ethanol production licenses to stimulate private sector participation in an ethanol market that is now a government monopoly. The government of Ukraine plans a 2-year policy to increase ethanol production 6-fold, to an annual rate of 360,000 metric tons, to meet its panned E5 blending mandate by 2014. This post summarizes news items and other public policy developments over the last few months relating to use of biomass-derived diesel (“biodiesel”) as a motor vehicle fuel. I’ll plan to update such news periodically, to include not only biodiesel but also news about other biofuels (other than ethanol or butanol), including novel aviation fuels produced from renewable feedstocks. New Mexico retains its biodiesel blend requirement. In its 2013 session, the New Mexico legislature rejected proposals to repeal the state’s requirement that diesel fuel sold in the state include a 5% biodiesel blend. According to the National Biodiesel Board, New Mexico is one of just seven states with legislation requiring a minimum amount of biodiesel to be blended in the transportation diesel fuel supply. This move was hailed by the biodiesel industry, although it has also been reported that this B5 requirement, first enacted in 2006, has never been enforced due to a lack of biodiesel production capacity within the state. Arkansas considers biofuel tax credit. A bipartisan group of state legislators has introduced SB 933 into the Arkansas legislature to create a 10-cent per gallon fuel production tax credit for alternative fuel producers in the state. The bill would reportedly benefit two large biodiesel producers already located in the state. The law would take effect on January 1, 2014 if approved. The bill’s sponsors note that neighboring states already provide incentives for biodiesel production in their states, with Mississippi granting a production tax credit of 20 cents per gallon for alternative fuels, Texas exempting biodiesel from the state tax on diesel fuel, and with Oklahoma, Kansas, Missouri, Iowa, Illinois, and Kentucky also providing significant financial incentives for biodiesel production. The Arkansas bill is currently pending before the Senate Committee on Agriculture, Forestry and Economic Development. Iowa biodiesel industry seeking exemption from pending gas tax increase. The Iowa legislature is seriously considering raising the state’s gasoline tax, and the state’s biodiesel industry is advocating that fuels containing a higher biodiesel blend than the currently common 5% mix qualify for an exemption from this potential tax increase. The Iowa Biodiesel Board is reportedly lobbying for the state to adopt a B10 biodiesel mandate by 2022. RIN Quality Assurance Programs. Several independent companies are creating quality assurance plans (QAPs) to offer RIN validation services in accordance with pending EPA regulations. EPA’s proposed regulations setting the standards for RIN validation programs (described in an earlier entry in Biofuel Policy Watch) were created in response to several highly-publicized instances in 2012 of companies selling obligated parties fraudulent RINs not corresponding to actual volumes of renewable fuel. EcoEngineers of Des Moines, Iowa, partnered with Great Lakes Biodiesel, has received EPA approval for its proposed QAP program. In a February press release, Genscape says is the first service provider preregistered by the EPA to provide a QAP program for A-RIN and B-RIN assurance. Under EPA’s proposed rules, in validating RINs as A-RINs, the QAP provider must provide financial backing to replace those RINs if they later become invalid. Perpetrator of fraudulent RINs receives jail sentence. In a related story, Rodney R. Hailey has been sentenced to twelve and a half years in prison and ordered to surrender profits and pay restitution to twenty energy companies who purchased fraudulent RINs from Hailey’s company Clean Green Fuel LLC. U.S. FAA and Spain to cooperate on aviation fuels. The U.S. Federal Aviation Administration (FAA) and the Spanish Aviation Safety and Security Agency (AESA) signed a Declaration of Cooperation in February to promote the development and use of sustainable alternative aviation fuels in the United States and Spain. The declaration calls for exchanges of ideas and know-how, collaboration on projects of mutual interest, and other activities to promote the development of sustainable alternative jet fuels.